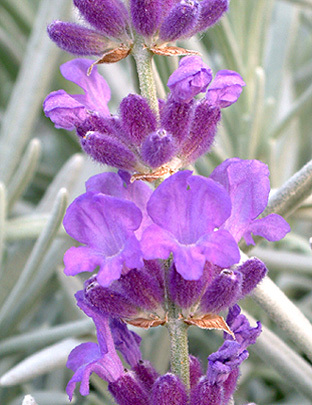 A lavender with a colour to die for! Rich purple-blue flowers with a sweet scent. Grey-green foliage. UK selection and introduction 1920s.